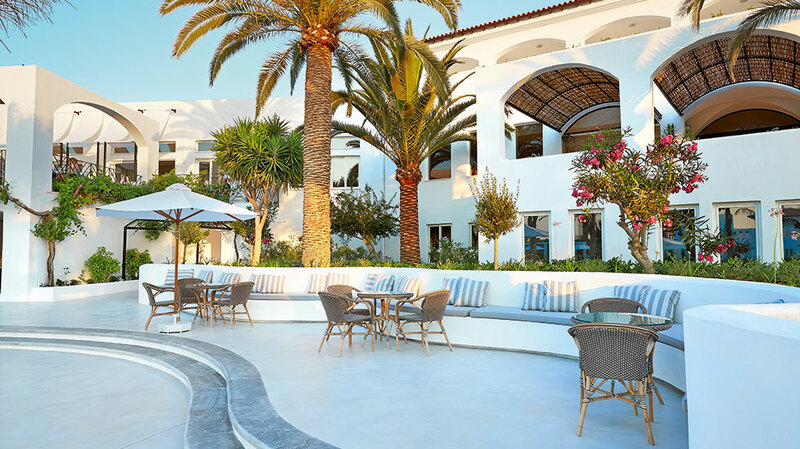 Unfurling the journey of this exclusive Hotel, Scape created the elegant forecourt to greet arrivals, as well as the tranquil pool side dining and entertainment areas. 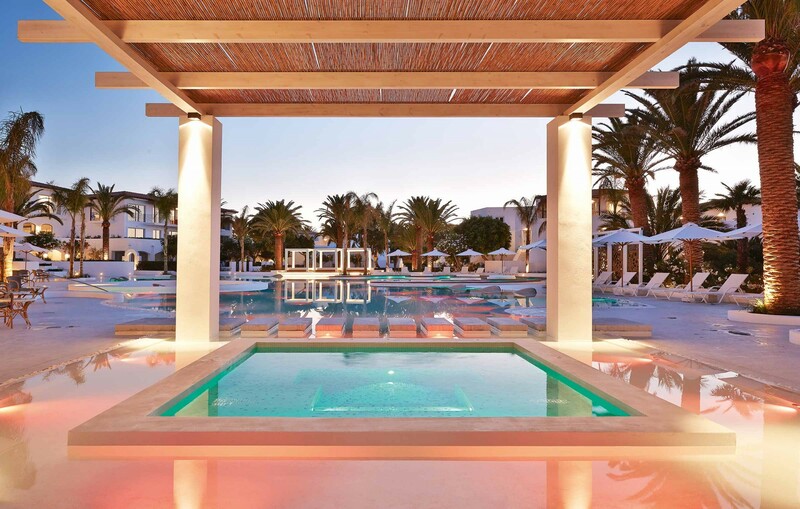 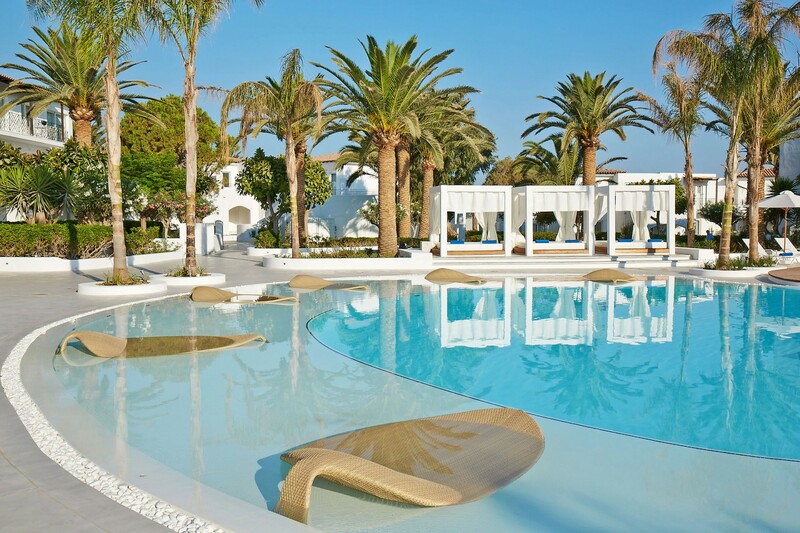 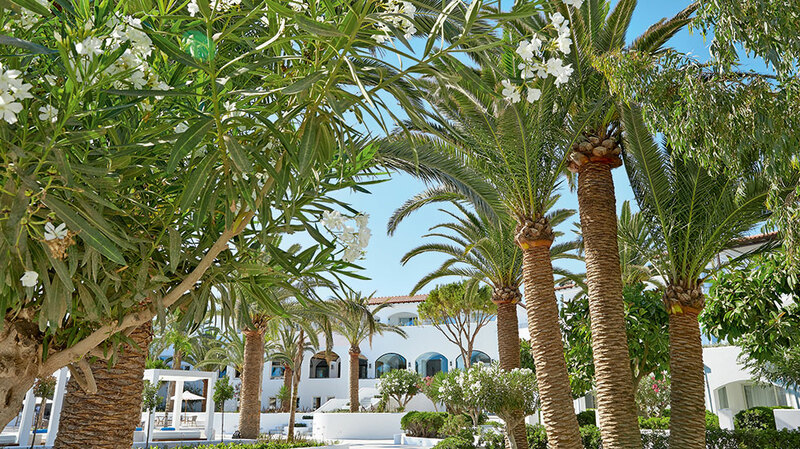 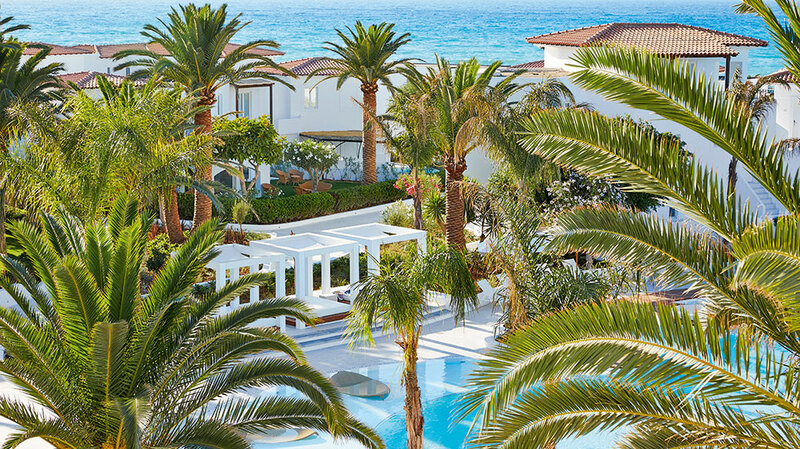 Situated on the longest beach in Crete the hotel was refurbished to create a glamorous five-star island settlement, with a distinctive style for discerning guests looking to experience something inimitable. 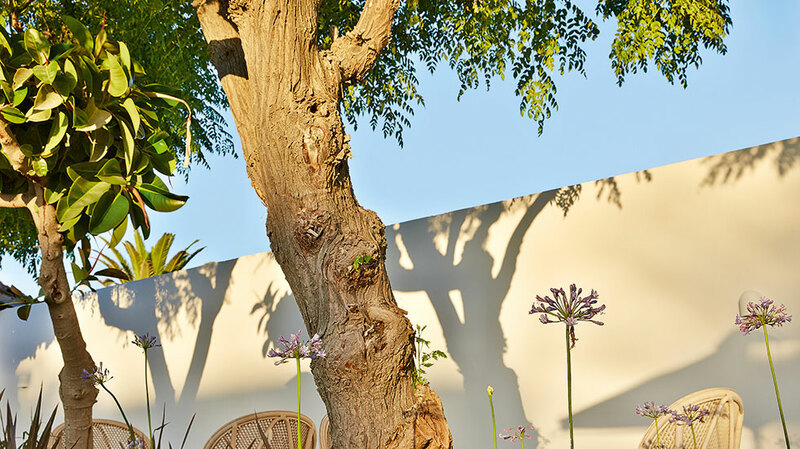 Unique accommodation has been individually refurnished with designer fabrics & hand carved furniture, which are in turn reflected in the newly created garden spaces respective to each villa. 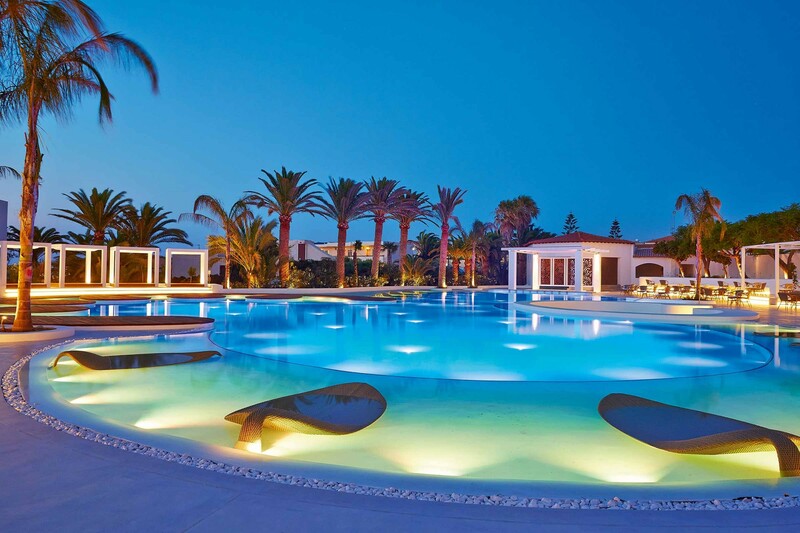 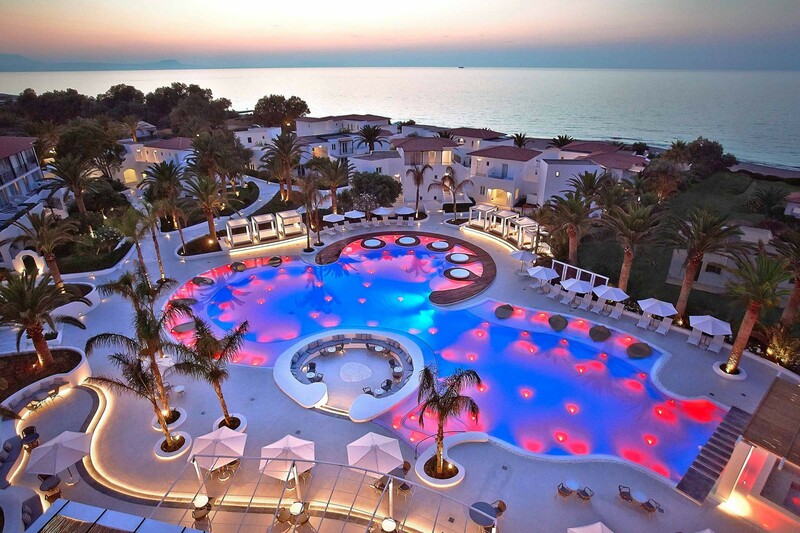 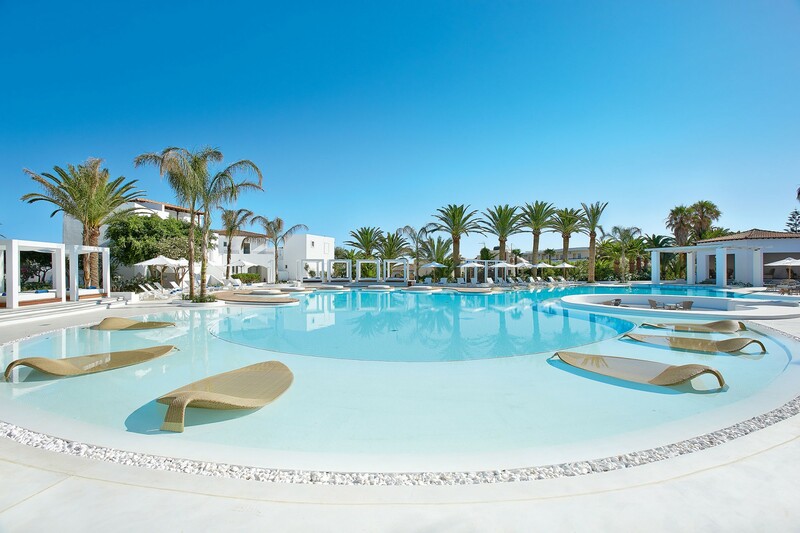 At the heart of the resort lies the refurbished Confetti Pool created by Scape, with flowing form and colourful lighting display, guests can relax on leaf shaped sunbeds lying directly in the pools cooling waters.